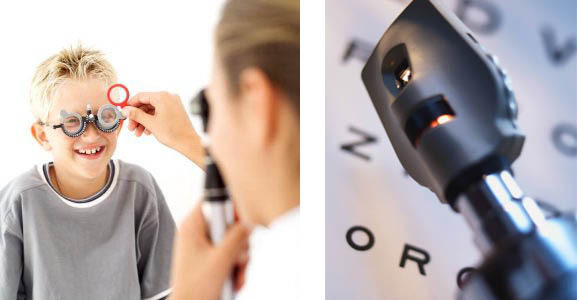 Orthoptics is the study or treatment of various visual disorders, especially eye movements and eye alignment. Orthoptists work under the supervision of an Ophthalmologist and evaluate ocular motility and binocular (double) vision relating to convergence disorders and extraocular muscle balance. Amblyopia (lazy eye), which is a reduction in vision arising from a defect present in infancy or early childhood that prevents the eye from receiving enough visual stimulation. Defective binocular vision, which is the inability to use both eyes in the correct way, leading to the impairment of depth perception. Abnormal eye movements arising from injury or disease affecting the eye muscles or the nerve supplying them, or a physical obstruction to eye movement. Diplopia (double vision) that results from abnormal eye movements or strabismus. Strabismis, which is a vision problem where both eyes do not look at the same point at the same time (crossed-eyes or squint). Providing the symptomatic patient with Fresnel prisms for diplopia, exercises for asthenopic convergence insufficiency or accommodative esotropia. Our Certified Orthoptist, Joyce Lipsky-Santana has been one of the leading Orthoptists in New York and New Jersey since the 1980’s. Her patients rely on her skill and expertise and have been following her for years!